The R˜DEGrip+ is a multi-purpose mounting solution with high-quality lens kit for the Apple iPhone 5, iPhone 5s, iPhone 5c, iPhone 4 and iPhone 4S. Featuring a camera-shoe mount with a 3/8" thread in the base that can be mounted in three different positions, the R˜DEGrip can be used in a number of orientations and setups. 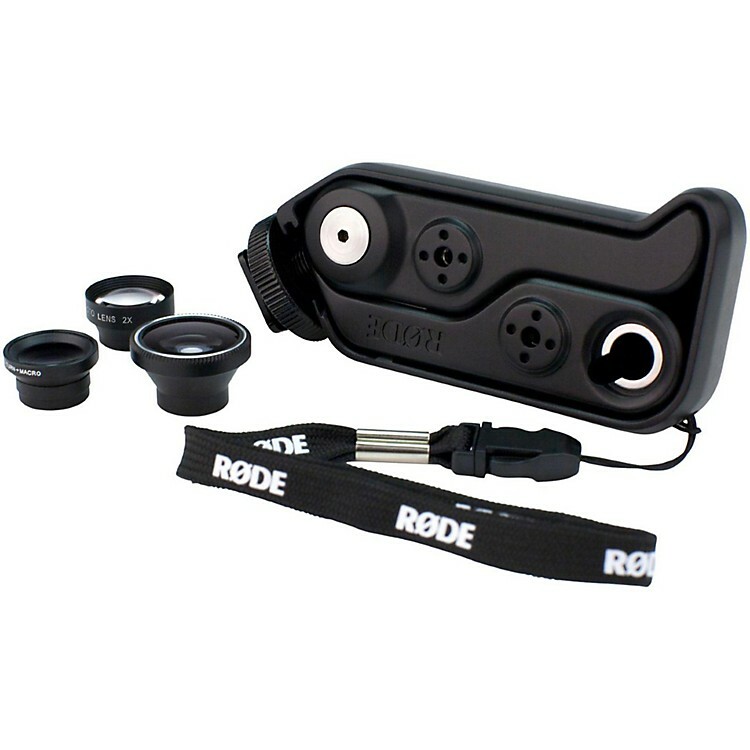 The R˜DEGrip+ is supplied with three high-quality photographic lenses (2x Telephoto, 180 degree fisheye, wide-macro) that screw into the frame to allow for versatile filmmaking on the iPhone. Constructed from durable, high-quality ABS plastics, it folds down into a small, portable form factor for ease of transport.